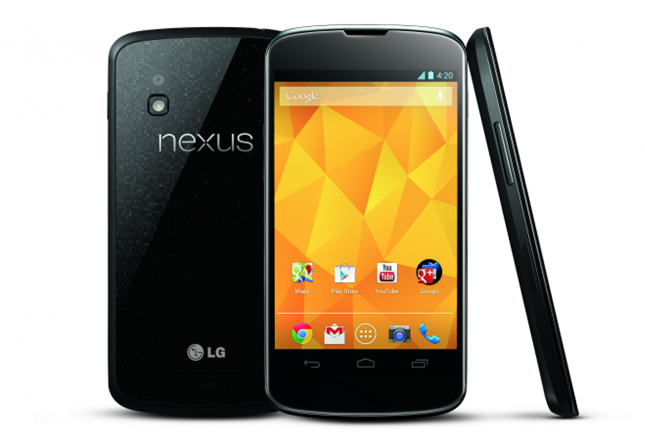 Google announced the its flagship smartphone Nexus 4, first phone runs Android 4.2 Jelly Bean. Nexus 4 powered by quad-code 1.5 GHz Qualcomm Snapdragon S4 pro processor, it has 2GB RAM and features 4.7-inch IPS display with 1280 X 768 (320 ppi) resolution. Nexus 4 has 8-megapixel rear camera and a 1.3-megpaixel front facing camera. Google announced a new feature Photo Sphere in Android 4.2 that allows panorama shots. It has a 2,100 mAh battery. Nexus 4 available in 8GB and 16GB versions with no microSD expansion slot. The Nexus 4 will be available via Google Play in selected markets on November 13 and offline availability of the Nexus 4 will begin in late November for Asia, Central/South America, Europe, CIS and the Middle East.